Use cognitive computing to connect cars and acquire data from sensors and systems—to improve the in-car experience and develop new business models. 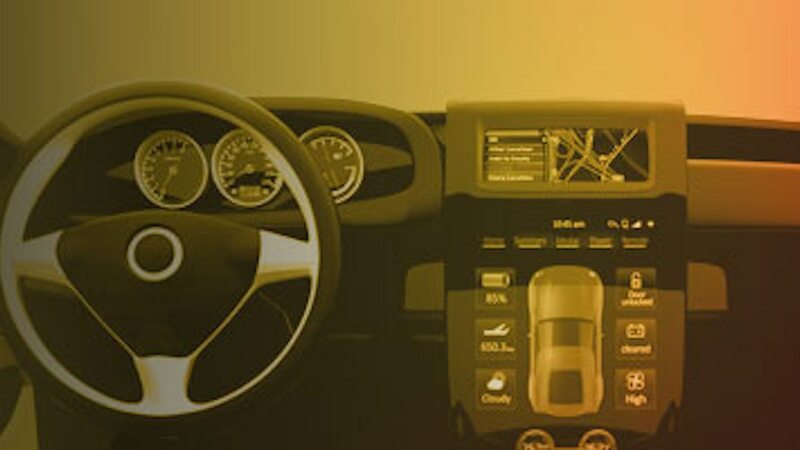 IBM IoT Connected Vehicle Insights is connected car software that provides emerging autonomous driving capabilities. Using this real-time infrastructure platform, you can optimize the driver journey—manage fleet operations, monitor behavior, share cars and more. This software offers highly scalable and low-latency cloud computing that provides big data storage and analytics. It is a dedicated private cloud service on IBM Cloud used to build intelligent automotive solutions and applications. By viewing information throughout the vehicle’s life, automotive engineers and service technicians can improve the vehicle’s capabilities and avoid quality issues and recalls. They can monitor vehicle usage, fuel consumption, security and other in-car activities, and anticipate vehicle or device failures to reduce maintenance. This software gives drivers up-to-date data that adds context and situational awareness, and gives engineers a deeper insight into vehicle movement and driving behavior. IBM IoT Connected Vehicle Insights analyzes data from vehicle sensors at a granular level with the surrounding contextual and environmental information to provide situational detection. This enables vehicle-to-everything (V2X) solutions, including vehicle-to-vehicle (V2V) communication through the cloud. In addition, it detects dangerous driving, including speeding, drifting, harsh accelerating or braking and fatigued driving to make adjustments that help keep drivers safer. This software uses analytic insights in real time to improve the driving experience, prevent problems and reduce costs. By using this connected car software, you can share information about vehicle movement, drivers and events along the route. IBM Connected Vehicle Insights helps analyze driver behavior and diagnose potential safety risks or quality issues. It helps drivers find the shortest driving route and create and analyze trajectory patterns in vehicle journeys. IBM IoT Connected Vehicle Insights has onboard sensors that can capture and detect data in real time from multiple sources including connected vehicles, weather, geographic locations, traffic, social media and other data systems. This software supports the most common automotive data standards and communication message formats. It provides services that can help automotive industries develop and operate world-leading connected car services. This software helps you build real-time applications that leverage IBM Watson IoT™ analytics. IBM IoT Connected Vehicle Insights uses in-car sensors and systems to analyze vehicle data, leading to an improved in-car experience for drivers and enhanced automotive business models from automotive engineers. It supports continuous engineering and embedded software development to speed the delivery of new in-vehicle services and updates. There are no software requirements for IBM Connected Vehicle Insights. There are no hardware requirement for IBM Connected Vehicle Insights.